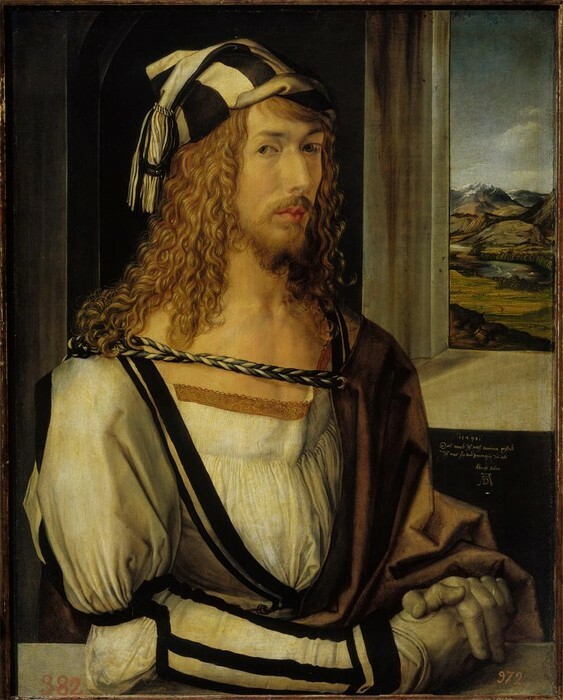 Born in Nuremberg, Bavaria, Durer was born into a family of eighteen children, him being the third oldest. He started out as an apprentice of his father, a goldsmith, but later moved on to learn the ways of the painter Michael Wolgernut. This started his career as an extremely influential artist. After working on several pieces, Durer was starting to grow in popularity, and at his time of death the only artists more popular than him were Raphael and Michelangelo. He was also in the good graces of the church for his refusal to print anything obscene or sinful. 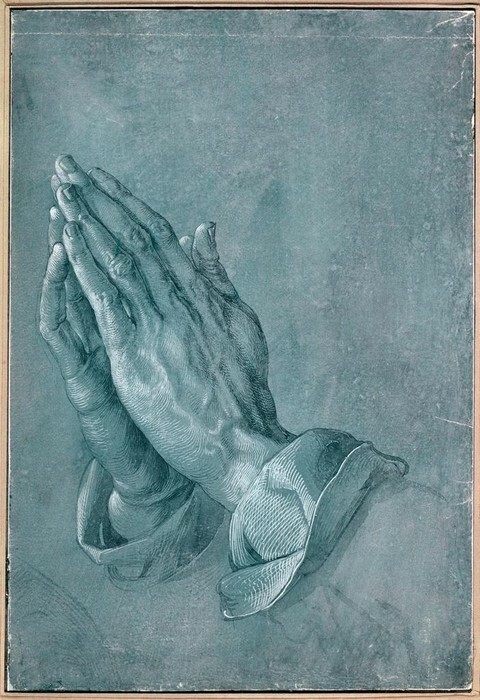 The main types of works created by Durer were engravings and prints, however he was a well-rounded Renaissance man. An extremely realistic portrayal of human hands done in pen and ink. 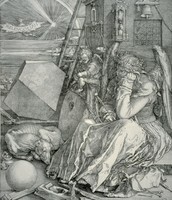 One of Durer's "Master Engravings", this engraving portrays an angel feeling gloom and sadness. 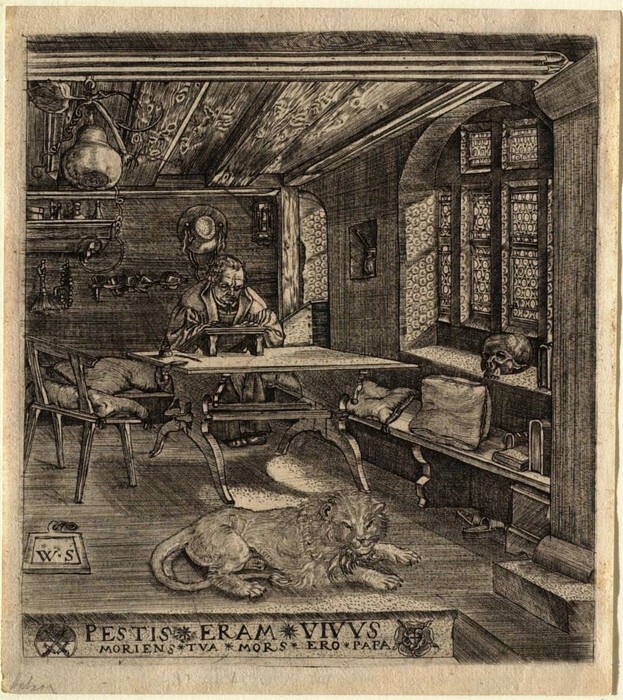 Another of the "Master Engravings", this engraving represents an intellectual yet serene atmosphere. 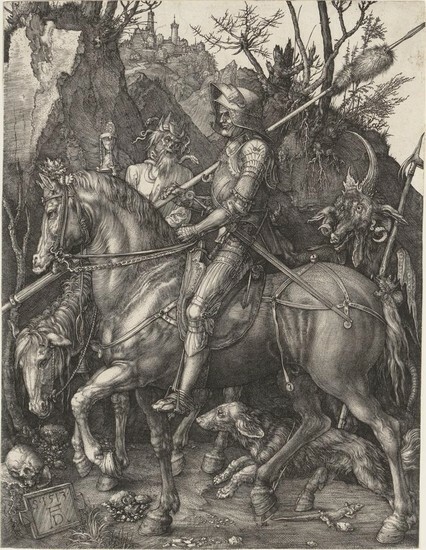 Created in 1513, Knight, Death, and the Devil is one of the most important engravings in Durer's series The Apocalypse. 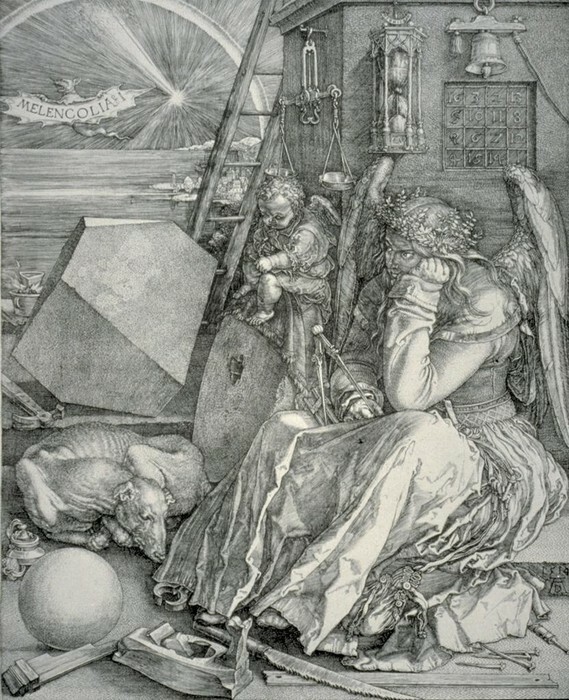 This piece was the climax of Durer's graphic style, and is able to show Durer's views on life. It is representative of the active sphere of human activity. This piece has an overall heroic feeling, with a valiant knight parading on his horse, paying no attention to Death (left of knight) and the Devil (right of knight). The main clue to which monster represents death is that the monster on the left is holding an hourglass running out of time. This piece can be closely linked to humanism because it glorifies mankind (knight), and ALSO represents individualism because it creates an individual character and mannerism for all of the life on this engraving. "Albrecht Dürer." Encyclopedia of World Biography. Detroit: Gale, 1998. Biography in Context. Web. 14 Nov. 2013. "Albrecht Dürer." International Dictionary of Art and Artists. Gale, 1990. Biography in Context. Web. 14 Nov. 2013. "Albrecht Dürer." World Eras. Ed. Norman J. Wilson. Vol. 1: European Renaissance and Reformation, 1350-1600. Detroit: Gale Group, 2001. Biography in Context. Web. 18 Nov. 2013. 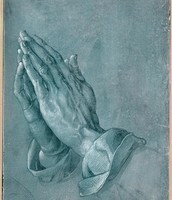 Durer, Albrecht. Knight, Death, and the Devil. 1513. The Metropolitan Museum of Art. ARTstor.com.<http://library.artstor.org/library/secure/ViewImages?id=%2FDFMaiMuOztdLS04ezV0RHYkUw%3D%3D>. 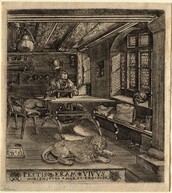 Durer, Albrecht. Self Portrait with Gloves. 1498. Museo del Prado. ARTstor.com.<http://library.artstor.org/library/secure/ViewImages?id=4iFCeTg4NCciJy8laCt2KngqVXkhflx9fg%3D%3D>.